UFC 129 is fast approaching, that's why Fighting Insider is bringing you a preview to three of the event's preliminary bouts. UFC 129’s preliminary card poses as a match between two countries, with Ivan Menjivar, Jason MacDonald and Jon Makdessi of Canada facing Charlie Valencia, Ryan Jensen and Kyle Watson of US respectively. While UFC fans will be all ears and eyes on the George St-Pierre vs Jake Shields duel, the Rogers Center in Toronto, Canada will also host preliminary matches that are worth watching. 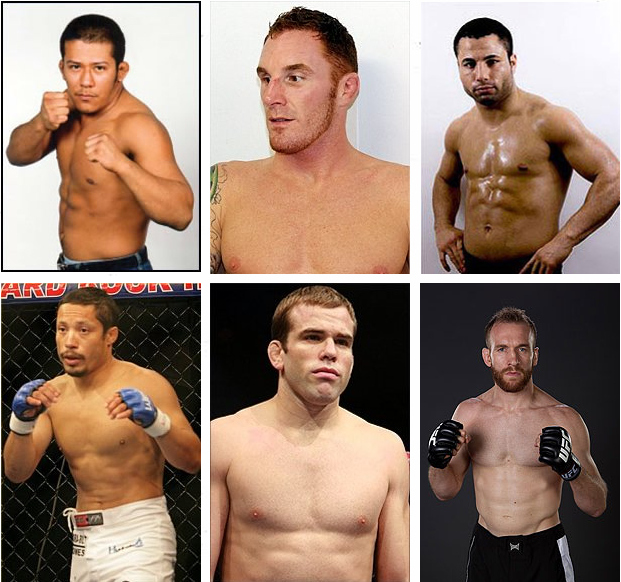 Let Fighting Insider tell you what the crystal ball says at the three of seven UFC 129 preliminary bouts. Ivan Menjivar is capable of solid stand up game based on his eight knockout victories. But more than that, he can also hit the mat with impressive results. Charlie Valencia, on the other hand, has five submission and one KO under his belt. While he has fought caliber opponents; bigger, younger and more aggressive Ivan Menjivar has the techniques to overwhelm his contenders. American MMA fighter, Ryan Jensen, has been a stepping stone for more talented UFC fighters. He likes to keep the fight uptight, but Jason MacDonald is a submission specialist that can turn tables. And in case the latter will be able to avoid the former’s combinations, Jason MacDonald can win by submission. John Makdessi is an undefeated striker from GSP’s Tristar Gym, while Kyle Watson is a seasoned cage fighter. The winner of this match-up will depend on who will dictate the game. If John Makdessi can make the bout uptight, it will be bad news for Kyle Watson. However, if the latter can bring the fight on the mat, then his ground game can win the day. Do you agree with what Fighting Insider’s crystal ball says? Share your opinions by leaving a comment.